Taken from the autumn/winter 2018 issue of Dazed. You can buy a copy of our latest issue here. “I’ve always wanted to die in a film,” Milly Shapiro says proudly. We’re at Chelsea’s very in-demand Museum of Ice Cream pop-up, and giant anthropomorphic confections surround us. Even in this hyper-sensory setting curated for maximum Instagram potential, the 16-year-old actress has a magnetic presence. In what has resonated as one of the most auspicious modern screen debuts in memory, Shapiro stars as troubled teen Charlie Graham in this year’s acclaimed horror hit, Hereditary. Directed by Ari Aster and starring Toni Collette, it is a rare family drama/occult flick hybrid that offers genuine insight into the destabilising experience of grief – while also exploding it open into something utterly terrifying and bizarre. It’s a film about trauma that feels traumatising to watch, making it unforgettable. And at the centre of it all is Shapiro’s stunning performance as Charlie, the 13-year-old who provokes both sympathy and fear. Even before Hereditary made waves in cinemas, its trailers went viral, sending the internet into an excited panic about the film’s impending status as “Scariest. Movie. Ever.” In a gripping preview vignette, a grim Charlie cuts off a pigeon’s head and makes an unsettling clucking sound. The threat is implied: with her around, nobody is gonna make it out alive. Of course, the harrowing beauty of Hereditary is that nothing plays out as you think it will, and its violently surreal conclusion haunts long past viewing. Shapiro herself is getting recognised more publically as the star she is becoming and seems destined to be a major, emotionally complex force in cinema. In person, she’s extremely articulate, witty and cheerful – a totally normal Floridian teenager in a Studio Ghibli tee. Though, even in this ice-cream parlour seemingly colour-blocked by Mattel, she is quick to admit her commitment to“creepy, weird things”, including researching serial killers. Are you surprised? You got your start on Broadway (Matilda; You’re A Good Man, Charlie Brown) at a young age. Did you have plans to transition to screen? Milly Shapiro: I wanted to transition for sure. There’s this idea that all Broadway actors overact and that the style is not as good as film acting. When I originally auditioned for Hereditary, I didn’t think I’d get it because everyone there was like three years younger than me and had red hair – it was a very odd thing (laughs). When I ended up getting it I was really excited because it was on my bucket list to be in a horror film. Charlie is a complex character. How did you and Ari collaborate on how she’d be portrayed? 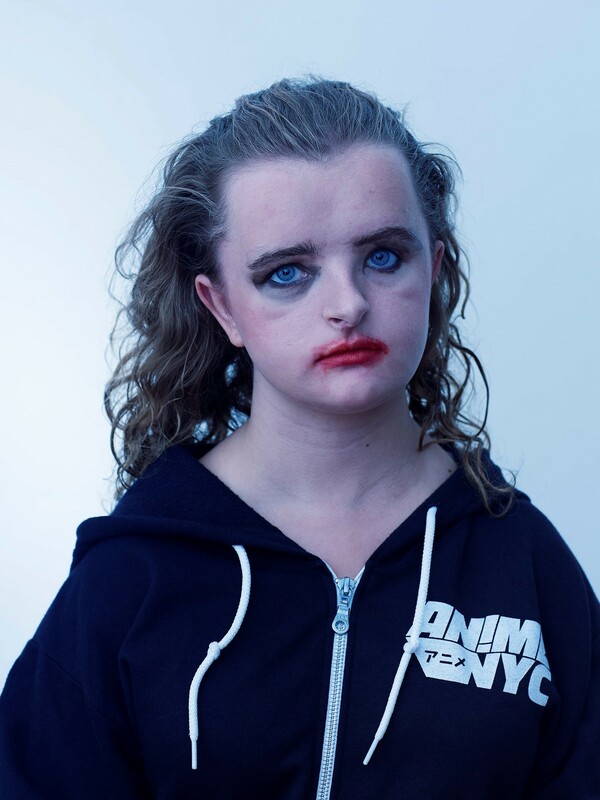 Milly Shapiro: We decided that we needed to creep people out as much as possible, but also make them love the characters so they care about what happens to them. It’s a really thin line because if you go too creepy, people will just be weirded out and not like it. We really worked hard on making sure Charlie was lovable and that you wanted to take care of her. She is, in a way, so innocent. So, the head scene. I cannot unsee it! Let’s talk about how you made it look so real. Milly Shapiro: We actually had to go to Canada for a day; it took about 20 minutes for the head mould. They put on a bunch of plaster, it was actually very relaxing (laughs). You have to breathe through your nose because your mouth can’t open. It was like a spa treatment, like a whole head mask. They have to lather you in Vaseline before so it doesn’t get stuck to your hair. I wanted to keep it as a centrepiece for my table. I thought that would be really hilarious. I love how instead of being really repulsed by it, you actually thought it was cool and wanted to keep the head. Did you end up being able to do that? Milly Shapiro: No, I didn’t! Someone ended up taking it – I don’t know who, I really want it. My friends are as sick and twisted as I am, so we might try and remake it. What do you think of people’s overall reaction to the film? Milly Shapiro: It’s a lot bigger than I expected it to be. When I originally signed on they didn’t have a distributor, so it seemed like it would be really small. Now it’s basically everywhere and in other countries! And as a lover of the horror genre, being in something that is being compared to The Shining and The Exorcist, it’s just insane. Some people are looking at it through the family drama lens, too. 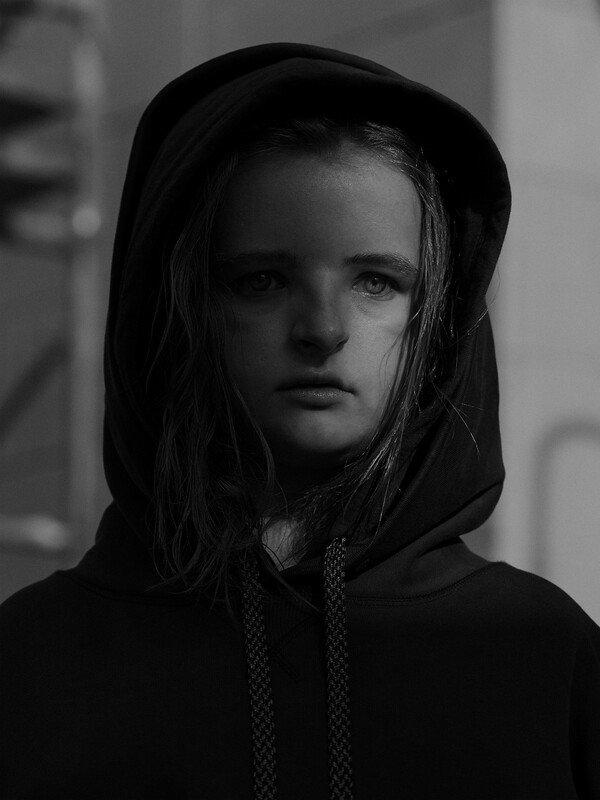 Milly Shapiro: I like that people are looking through that lens because if you took all the horror out of the film, it would still be good because of the relationships. A lot of horror movies just look at how they can scare people and no matter which character dies, you don’t ever really feel enough to actually care. Ari did a really good job of making each character an actual person and making sure you love their pain. Everything that happens feels like it could actually happen. There’s this implication that the demon, Paimon, has possessed Charlie. It feels like the women in the film are really pivotal to keeping Paimon’s legacy alive. Milly Shapiro: I thought it was cool how the leader of the cult was female and how Paimon inhabited a female. A lot of demonology was based in a very sexist time, so they’re like, ‘oh males are dominant, females are evil, yada yada yada.’ But we flipped that. What’s your favourite secret clue in the film? Milly Shapiro: If you look closely at the pole when they first pass it! And what did you learn about yourself during your Hereditary experience? Milly Shapiro: I learned that I will go to basically any length to get the right results, no matter if I’m bruising or scratching myself. I just won’t realise it because I’m so in the moment! You’ve mentioned you like creepy things. What are they? Do you ever mess with ouija boards? Milly Shapiro: I have before. I’ve talked to ghosts once. For me, it makes sense for them to be real because of physics. In physics you can’t destroy energy, it can only be conserved. You’ve literally conquered horror. What’s next for you? Milly Shapiro: I feel like comedy would be very fun after Hereditary. I do have one thing lined up! I’m going to make a guest appearance on a Splitting Up Together – the character is really fun and creepy... but a different style of creepy! Tell me about a cause you care about? Milly Shapiro: I care deeply about stopping bullying. Over the past five years, I’ve been a part of an organisation called No Bully, which works with educators and leaders to eradicate bullying in schools through lessons in empathy, rather than singling out the bully, because people are only mean when they are hurting. It’s something I’m personally passionate about as the victim of bullying. Are people recognising you on the streets? Yes, I’m that creepy kid.